This week, I’m thinking lots about home interiors as we embark on the attic conversion. This year we’ll be taking on some serious home renovation, having put it off for several years, so there’s lots to consider. Selfishly, one of the thhings I love about this linkup, are the ideas and inspiration it gives me for projects like this, as well as seeing what everyone else is doing to their homes and writing about. Thanks to those who shared their posts last week, my Top Picks are quite varied this week, but all have inspired me in different ways. Thanks for featuring my bedroom this week, I am so pleased with it and love going to bed each night now! oh I do love the origami cranes, they look beautiful. 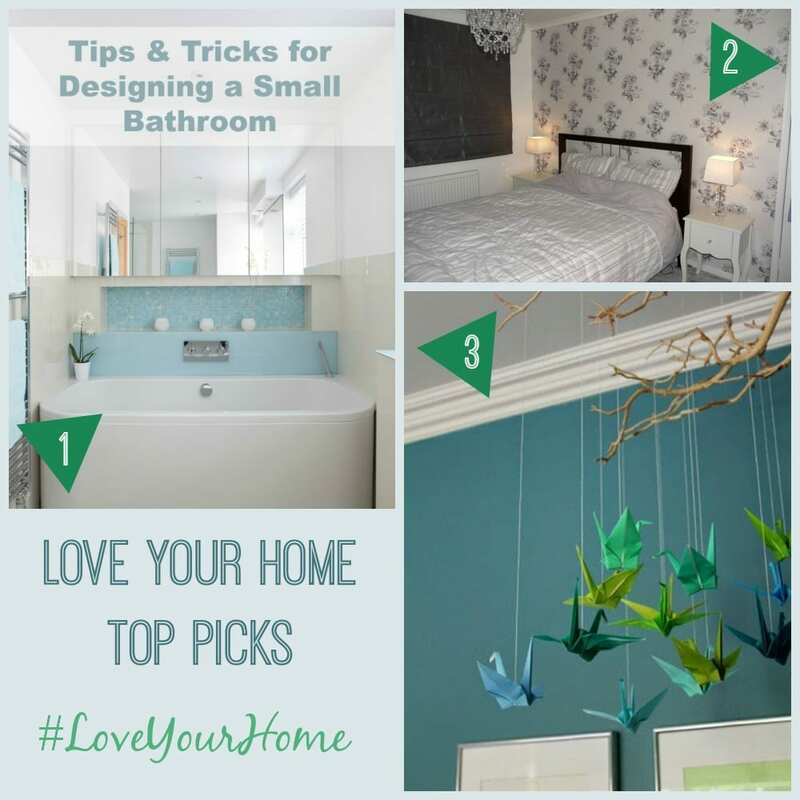 the small bathroom tips are great, I’ve currently got a really good sized bathroom but previous house – it was tiny, such an important space too, that gets so much use, I could have used those tips! I used to make those origami cranes as a child, although my mum used to call them Mugwumps??? I have no idea why?? Check out my Blog-of-the-Month post…..I’m sure that you’ll like it! Oh, I can’t wait to see your plans for the attic conversion as we need to do this in the next few years.